USB Himalayan Crystal Pink Salt Light. Included White USB Cable 1.5m & Led 3Watt Bulb. 3 x Pyramid Salt Lamp White Pink Grey Each Lamp 1-2kg. Salt Crystal & Quartz Crystal Products- Only for indoor use. 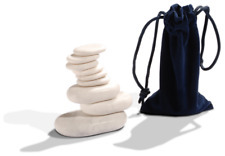 Prepare for a luxurious massage experience with this hot stone massage kit. Hot stones are tools of the trade for hot stone massage therapists and these are cured and hand-polished for the highest quality. Hot Stone 4 round 4 oval 8 oval small. Gel Polish. Fungus Fix. Led & UV Gels. Machine & Furniture. Marble is the idea stone choice for Cold Stone Massage Therapy. Marble stones are considered to be the best at retaining coolness, they do not heat up rapidly during a massage, and they can draw heat from the body. Rare and beautiful Jade stone set. Jade can be used as a c old h or h ot st one, releasing infrared heat when heated. White Jade Pillow: 15X5X3cm. Besonders bei verspannter oder verhärteter Muskulatur ist die Warmsteinmassage sehr hilfreich. Die 16 Hot Stones aus dem Set sind auch als Layout Steine geeignet (Patient legt sich auf die Steine). Zum Auflegen auf den Körper und als Arbeitssteine zum Massieren und Klopfen dienen sie gleichermaßen. Contents: 1 Velveteen bag includes 9 rocks varying in size, incense holder, incense stick, scented candle, candle holder, & full instructions booklet. Stone Therapy is the application of stones in a thermo-therapeutic massage. 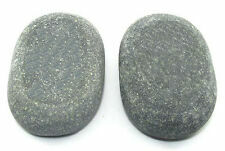 Spa Massage Stones. Hot Products. New Products. NEW ARRIVALS. All orders dispatched within 24 hours. Key Features. Pulsed Electromagnetic Field Therapy device will reduce your pain, inflammation, improve sleep quality, reduce blood pressure and cholesterol levels, increase the ability of uptake of nutrients, improve cellular detoxification and the ability to regenerate cells. Wellness Marmorsteine zur Entspannung. Neun Marmorsteine: entweder warm oder kalt auflegen. Abkühlen lassen! Zu Ihrer Sicherheit gewährleisten wir Ihnen ein einmonatiges Rückgaberecht! Kein Risiko: 1-monatiges Rückgaberecht. 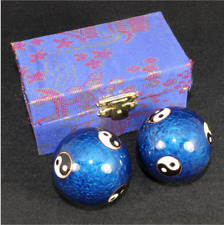 Großes Chakra-Set in der blauen Lapis Vitalis Geschenkbox. Die nach steinheilkundlichem Wissen ausgewählten Edelsteine harmonieren in ihrer Energie und ihrem Informationsgehalt mit dem entsprechenden Chakra. Jade Roller for Face and Gua Sha Massage, Body Relaxation; Real Natural Rose Quartz Stone Facial Massage, Anti-Aging Beauty Skincare Tool to Reduce Dark Circles and Puffy Eyes(Pink). RELIEVES PAIN, STRESS, INFLAMMATION: Jade roller is great to relieve headaches, sinus pressure, distress jaw, and aid in lymphatic drainage. They have more sensors for precise heating and longer life. Gems filled into the red tubes forming all the mat surface from edge to edge are visible through V-shape clear window. Tourmaline stones are famous for pyroelectric ability to naturally generate Negative Ions upon heat distortion. 8 Zertifikate. 5 Zertifikate. 3 Zertifikate. Die Zertifikate individuell und kostenlos nach Ihren Wünschen! Wellness Massagen. Aromaöl Massage Materialkunde - Ablauf der einzelnen Massagen Heilsteine. Basalt cannot be brought to a natural shine without the use of waxes or epoxy resins. Most basalt that is suitable for use in hot stone massage is grey (most black basalt, with a few exceptions, is too coarse and grainy for use as massage stones) but turns black after it has been oiled. Nuosen Gua Sha Scraping Massage Tool, Jade Stone Guasha Board for Face and Body Skin Caring, Heart Shape. Why You Choose Our Guasha Board Massage Tool. Made by 100% Natural Premium Jade Stone, which is beneficial minerals to Skin Beauty and Body Health, more thicker and effective than traditional Guasha Boards. 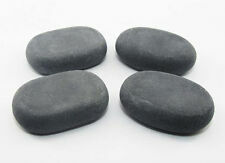 Basalt Stones can be used for back, legs, hands, and arms. 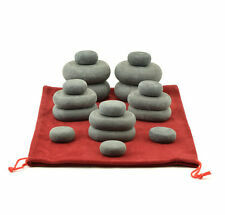 Set Includes 36 Massage Stones. Salt crystals from an ancient primal sea beneath the Himalayan Mountains are hand-carved into massage stones that gently soothe away an accumulation of stress, tension and pollutants. Himalayan Salt Massage Stones for a relaxing, detoxing, heavenly massage! The Original Backnobber. We have a huge and diverse range of physiotherapy products available for the public and professionals. With hundreds of trouser braces in our range we are sure to have a match for any attire. Item model number: JP900. Manufacturer: Jebao. Flow: 145 GPH. Head: 45", Max. Flow: 145 GPH. Pump size: 1 7/8"(W) x 2 1/4"(H) x 2 3/4"(L) cord length 6'. Jade Stone Gua Sha Massage Tool, 2 Point Design, for Anti-wrinkles, Anti-aging GuaSa Massage, Skin Detox and Rejuvenation & Beauty. JADE GUA SHA SCRAPING TOOL: Manufacturer direct and new launch. Application: facial Gua Sha lymphatic massage for skin detox and rejuvenation & beauty. Genuine Basalt naturally sourced. Each stone has been hand collected and inspected to ensure no holes or cracks are evident. These basalt stones contain minerals such as iron and nickel which help them to retain heat naturally. 8 Oval, 1 1/2"Long X 1 1/8" Wide X 3/16" Thickness. Physix Gear Massage Balls - Spiky or Lacrosse Ball Roller Set for Plantar Fasciitis, Trigger Points Neck & Back Pain Relief - Deep Tissue Rehab Reflexology & Acupressure - Compact Portable Therapist. The massage roller lacrosse balls rejuvenates and revitalizes all the areas of your body, boosting blood flow and enhancing flexibility. (1) 3-piece set of yoni eggs of3 gemstones: nephrite jade, rose quartz, and obsidian, the only unique 3-gemstone yoni egg set in the world. This 3-piece set yoni eggs isthe ONLY set in the world that consists of 3 gemstones. You have everything you need with this set: 3 yoni eggs of 3 sizes, one box of 55 yards unwaxed dental floss as retrieval cord, user instructions, 4 jewelry pouches for storing your eggs. 2 gemstones in different color and healing properties. They have more sensors for precise heating and longer life. Gems filled into the red tubes forming all the mat surface from edge to edge are visible through V-shape clear window. Midsize mat is cost-effective, lighter than PRO mats and yet large enough for the whole body. HealthyLine Amethyst Tourmaline Gemstone Heat Pad Mat Infrared PEMF 80" x 40"